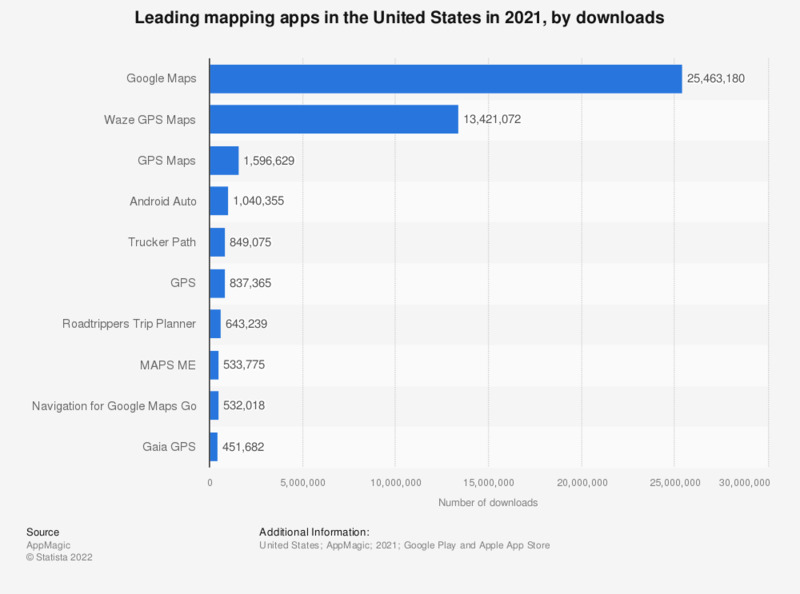 This statistic gives information on the most popular mapping apps in the United States as of April 2018, ranked by monthly unique users. During this month, 154.4 million users accessed the Google Maps app, making it by far the most popular service in this segment. Other popular Alphabet-owned properties include Waze and Google Earth.